Alexandria, Va., April 16, 2018 – (RealEstateRama) — Nowadays it is hard to know what can be trusted on the internet. When it comes to the National Affordable Housing Management Association (NAHMA)’s Communities of Quality (COQ) program, the association does not want there to be any doubt. Therefore, NAHMA is proud to announce it is implementing digital smart badges for its COQ nationally recognized properties. Managers of COQ properties are encouraged to visit the National COQ Recognition Program webpage to learn how to implement the smart badges on their property webpages. The badges are images created by HTML code to be incorporated into a COQ recognized property’s website. If a visitor clicks on the badge, a validation webpage pops up ensuring NAHMA has verified the property as a Nationally Recognized Community of Quality. If for any reason, the COQ designation is rescinded by NAHMA or allowed to lapse by the management company or property, the association can invalidate the smart badge. The association is working with Yoshki Ltd., an online brand protection and image management company, to implement and maintain the smart badge program. One of the goals of the COQ National Recognition program is to identify the best multifamily affordable housing communities across the country, for excellence in the physical, financial and social condition of the property. Sites are also honored based on the quality of life they offer to residents, the level of resident involvement in community life and the nature of collaborations with other organizations and agencies that contribute to the lives of residents and the larger community. management companies that are committed to upholding the COQ standards by having at least 50 percent of their property portfolios accepted into the national recognition program. To date, there are 22 companies that qualify as COQ Corporate Partners including three—Housing Management Resources Inc., PRD Management and Wesley Housing Corporation of Memphis Inc.—that have achieved COQ recognition status for 100 percent of their portfolios. The digital smart badges are a way to increase the trust factor of certified COQ participants’ websites since the badges prevent unauthorized use of the COQ logo. Additionally, the badges are technology responsive, so they can be viewed regardless of what digital device is used to access the website. 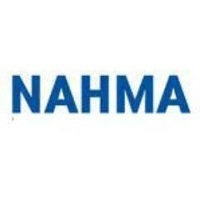 NAHMA is the leading voice for affordable housing management, advocating on behalf of multifamily property managers and owners whose mission is to provide quality affordable housing. 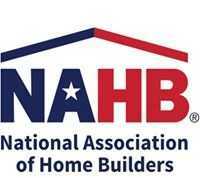 NAHMA supports legislative and regulatory policy that promotes the development and preservation of decent and safe affordable housing, is a vital resource for technical education and information and fosters strategic relations between government and industry. NAHMA’s membership represents 75 percent of the affordable housing industry, and includes its most distinguished multifamily owners and management companies. Visit www.nahma.org for more information. The National Affordable Housing Management Association (NAHMA™) is the leading voice for affordable housing, advocating on behalf of multifamily property managers and owners whose mission is to provide quality affordable housing. As an advocate for professional standards for affordable housing providers, NAHMA holds a unique position in the industry. Founded in 1990, NAHMA’s membership today includes the industry’s most distinguished multifamily managers, owners, and industry stakeholders.